PINK colored oval shaped crocodile skin style PU straps and same schemed colored hanging fish. Its a analog watch for all age of women to wear. PU leather, glass and golden dial was used in the production. This unisex WHITE dial with brown strap watch is brought to you to choice for you or your male frien.. 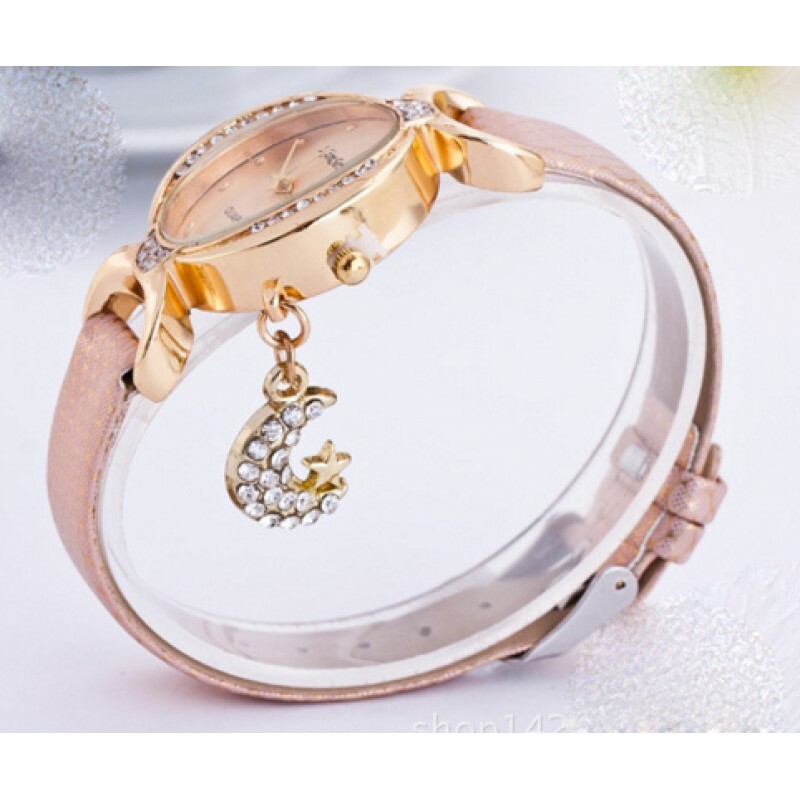 This GOLD colored net style alloy made watch is a precious thing to buy for yourself or for your fri..
GREEN colored Wrist watch is must wearing item in today's fashion and style. Our experts chosen this..
GOLDEN color is like by some people always we have brought this watch made with alloy and oval shape.. This PINK colored analog made with PU leather, glass and stainless steel. Its a waterproof watch whi..